The health industry is lying to you and you probably have no idea it is even occurring! Like most lies, this one is meant to control your thoughts and behavior. In this case it is meant to preserve the reputation and future profits of the flu vaccination program. Let me expose this lie for you. Have you ever heard it said that if you proclaim something often enough and with confidence, it will become truth even if it is completely false? We see examples of this all of the time in advertising and in politics. But, unfortunately we also see examples of it in medicine. I say unfortunately because deep down we almost expect to be lied to by advertisers and politicians. However, we most certainly do not expect this kind of misleading behavior from those who are charged with caring for us. The curious thing is that this lie has gained acceptance not only in the general public, but also amongst medical professionals. How in the world could medical doctors and the like not be able to detect this lie immediately if they are in “the know” about these topics? I have some ideas as to why. Doctors Blindly Parrot The Lie! Just about every doctor, nurse practitioner, physician assistant and nurse I know will repeat this lie to their patients, friends and family. The question is why. Please let me make something very clear right away. I DO NOT believe that these health professionals are lying. I believe they have just blindly accepted what they have heard as fact and are repeating it verbatim. I believe they think what they are saying is the truth, which means that they are not liars. They are, however, guilty of accepting the lie without questioning it and are at fault for repeating this nonsense. Let me give you some insights from my experience as to why this has occurred. Every health professional I know is extremely busy. Thus, when they hear something they want to be true, they rarely research the validity of the claim. In the case of the lie that getting a flu vaccine will reduce the symptoms of other illnesses, doctors have a vested interest in wanting this to be true. Think about it for a moment. Doctors have urged their patients (and in some cases applied significant pressure through guilt and scare tactics) to get their flu shot and to have their kids get the shots too. Now the patient realizes that this recommendation was worthless and that they and their children got a flu shot for no reason. As a doctor it kind of stinks that you know your recommendation not only ended up being of no benefit to your patients, but caused some to suffer side effects. You realize that if this were to occur too often your patients could lose faith in your recommendations. No doctor likes the thought that this could be the case. Then you hear in the news that even if the flu shot was not a good match it was still beneficial because it would help reduce the symptoms if your patient caught this season’s flu. Can you see how doctors would want this to be true? If you believe that a busy health professional heard this and then validated it by looking at the research, you are naive. No, they heard this the same way you did (on the news) and accepted it without question because they wanted it to be true. Any medical professional reading this article can prove me wrong by sending me the references to the articles they researched to validate the claim of flu vaccine benefit, even when there was no match in the shot for the viruses circulating this season. No such research exists and to date I have not received one email from a health professional. 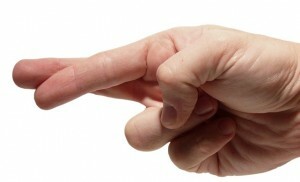 Medical professionals may be guilty of blindly repeating a lie, but they certainly are not the ones who made it up. We all know that if you follow the money you will find who initiated the lie. But, I do not think it is important to identify the initiator of the lie. Instead, I think it is important for you to understand the real reason behind the lie. The real reason for the lie is to make sure that you do not stop getting a flu shot in the future. The lie is meant to protect the reputation and future profits of the flu vaccine. Do not believe for a second that they are worried about your health or that of your family. Fast forward to next year when your doctor recommends that you and your family get their flu shots. They know full well that many will remember that last year’s flu shot was worthless and that this knowledge will temper their enthusiasm to get a shot this time around. This lack of confidence in the flu shot will lead to many just sitting it out next flu season. The end result would be a loss of many millions of dollars. And, if the trend of not matching the strain were to occur again it could mean the death of flu shot profits for years to come. So, they fabricate a lie that they know doctors would not question, would likely repeat and that would help to reduce the loss of consumer confidence in getting a flu shot. In addition to fabricating this lie, they have to hide one more fact, which could cause the public to seriously question the effectiveness of the flu shot in the future. The fact that the flu shot may not be effective in any given flu season basically has no effect on the number of kids who die each year because of the flu. For example, in the 2012-13 flu season there were 171 children who died from the flu and the flu shot was estimated to be 49% effective. During the 2013-14 season the CDC reported 111 deaths with a 52% effectiveness. During the 2014-15 season it was 148 deaths with a 19% effectiveness and in 2015-16 there were 89 deaths with a 47% effectiveness. Thus, the effectiveness of the flu shot seems to have no significant impact on reducing or increasing the number of deaths by flu. In other words, the flu shot is basically worthless! This truth could potentially cause a collapse in the flu vaccine industry future profits. It would be very hard to put forth a convincing argument that a season without a flu vaccine would be a bad flu season. So, they keep this information under wraps, use scare tactics to imply just the opposite, and make up the lie that even if the shot for the year does not match the strain it could still help. Now you are in the know! 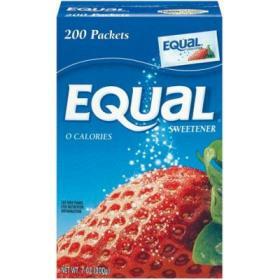 Equal and Nutrasweet: Are they Dangerous? Worrying about our body weight has become a major concern for the vast majority of Americans. Because of this concern, the diet industry has boomed. One of the most crucial substances for the diet industry are the artificial sweeteners. Most of the population takes the safety of these sweeteners for granted due to the fact that they are found in over 10,000 foods. Those of you who know me well understand that, in general, I am not an alarmist. I make every effort to be a critical thinker when presented with health issues. I have applied this principle while looking at artificial sweeteners and what I found caused me deep concern. As always, I think that you should not just take my word for anything. I will present you with the facts and you should make a decision for your own health and for those you love. Artificial sweeteners, like Saccharin, have a long history of being questioned as a potential cancer causing substance. This review, however, will concentrate on the more popular sweetener known as Aspartame, better known as NutraSweet® or Equal®. In 1965, the researchers at G.D. Searle were developing a new ulcer medication when they discovered that they had created a substance that was 200 times as sweet as sugar, but had no calories. The question was then asked if this substance was safe for human consumption. In 1971, Searle Labs felt it had sufficient evidence of aspartame safety to approach the FDA for approval. Questions about potential brain lesions, tumors, and endocrine dysfunction delayed approval until 1981. End of the story! The FDA took 10 years to thoroughly examine the safety of this substance and approved its use for the general public. Unfortunately, the evidence suggests otherwise. As far back as 1976, an FDA task force questioned the validity of Searle’s aspartame testing procedures. Dr. Adrian Gross, the chief scientist on the FDA task force investigating Searle, told CBS Nightly News in 1981 that Searle took great pains to cover up the shortcomings of their studies, even going as far as to remove tumors that developed in animals during the research in order to mask cancerous evidence. The studies were clearly arranged to have the results the drug company wanted. The Public Board of Inquiry (P.B.O.I.) stated in a report dated September 30, 1980 “On the basis of the conclusion concerning Issue Number 2, the Board concludes that approval of aspartame for use in foods should be withheld at least until the question concerning its possible oncogenic (cancer causing) potential has been resolved by further experiments. 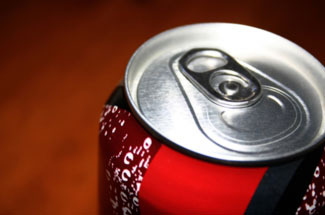 The Board has not been presented with proof of reasonable certainty that aspartame is safe for use as a food additive under its intended conditions of use.” Despite numerous unanswered questions and contradictory conclusions from various investigations, Commissioner Hayes ignored the recommendations of the FDA’s own P.B.O.I. and approved aspartame for dry use. It was approved for use in liquids in 1983. I will point out that methanol is found in some of the fruits and vegetables we eat. The difference is that these foods also contain amounts of ethanol which blocks the production of formaldehyde in the body. Aspartame contains NO ethanol. The constituents of aspartame are without a question potentially harmful. However, does this mean that they do indeed pose a health concern? And if so, why doesn’t the FDA remove aspartame from the shelves? Read on for answers to these questions. The health risks posed by aspartame are numerous and varied. They include but are not limited to headaches, mood changes, seizures, brain tumors, increased appetite, poor diabetic sugar control, allergic reactions, cancer, and behavior problems. If the above list is accurate in any manner, why is aspartame not taken off the market? The answer is actually very simple. All of these symptoms are slow in development and they all could be due to many other causes. In other words, it is extremely hard and almost clinically impossible to diagnose any of these symptoms as being caused by aspartame. This is especially true since there is no immediate reaction after its consumption. And, more than likely, the negative effects of aspartame occur after long term consumption of up to many years making it even more difficult to pin it as the culprit. The reality, though, is that our society is taking daily doses of this substance over long periods of time. Unfortunately, there are no long term studies on the use of aspartame to help clarify the matter. It makes sense to err on the side of caution when it comes to using aspartame. Real or not, the potential consequences for the long-term use of this sweetener are scary. You should make an effort to cease or decrease its use. There are some very interesting facts to consider when deciding whether you feel that aspartame does or does not pose a health risk. Professor Ralph Walton of Northeastern Ohio University’s College of Medicine conducted a survey of aspartame studies in peer-reviewed medical literature. Of 166 studies reviewed, 74 had aspartame industry funding and 92 were independently funded. Of the industry funded studies, 74/74 (100%) attested to aspartame’s safety. Of the independently funded studies, 84/92 (92%) demonstrated some type of adverse reaction. In the mid-1970’s it was discovered that the manufacturer of aspartame falsified studies in several ways. One of the techniques used was to cut tumors out of test animals and put them back in the study. Another was to list animals that had actually died as surviving the study! In 1987 Dr. Jacqueline Verrett, a toxicologist, testified before a U.S. Senate hearing and stated: “It would appear that the safety of aspartame and its breakdown products has still not been satisfactorily determined, since many of the flaws cited in these three studies were also present in all of the other studies submitted by Searle”. So, let’s review the facts. Aspartame contains the deadly wood alcohol Methanol and is broken down into Formaldehyde in your body. All of the studies funded by the aspartame industry attest to its safety. The vast majority of independent studies raise questions about aspartame safety. A number of researchers not getting pay checks from the aspartame industry have raised questions about health risks including cancer and brain tumors. Aspartame contains NOTHING that would be considered as good for your health. It’s only benefit is that it contains zero calories. I think that the decision you need to make is not whether aspartame is good or bad for you. The decision is whether you will continue to subject you body to what I would call a toxin. I know since you do not experience symptoms immediately from the consumption of this product, that a good number of you will continue to use aspartame. This falls under the same reasoning as to why people continue to smoke. If you will not stop using aspartame all together, at least decrease the amount you are taking each day. My family has stopped using aspartame. This includes diet soft drinks. I strongly recommend that you do the same and I plead with you to stop giving your children aspartame. As a parent myself, I am not sure how you could give them this substance in good conscious. Practicing Studied Medicine: Quit Fooling Yourself! An internal medicine doctor recently told me her advice to patients was that it is o.k. to take vitamins and minerals, but she never recommended herbals because they were not studied. “We have to practice studied medicine in order to make the best recommendations for our patients”, she said. I think most people agree the best way to practice medicine would be to make recommendations based upon benefits proven in the studies. The problem is this notion of practicing “studied medicine” is a fairy tale believed by both those practicing medicine and by those receiving medical care. The belief that doctors practice “studied medicine” is on par with believing in the Tooth Fairy. My apologies to anyone crushed by the realization that the disappearing canine from under their pillow was not funded by Tinker Bell’s cousin. I know…I know…this claim goes against just about everything that has been drilled into our heads since we were young. You need to trust your doctor because they are basing their recommendations on FDA approved therapies. And, the FDA only approves therapies that undergo rigorous study. Thus, doctors obviously practice studied medicine. Let me shed some light on this subject so we can all click our Ruby Slippers together to get ourselves out of the Land of Oz. It is important for you to realize that doctors DO NOT practice studied medicine! One of the facts giving comfort for the use of prescription drugs is they have to endure a rigorous process of study in order to gain FDA approval. There are three major problems with allowing yourself to become comfortable with this process. First, the FDA approval of drugs does not mean the drug is safe. Secondly, doctors routinely utilize drugs in a manner that does not have FDA approval. 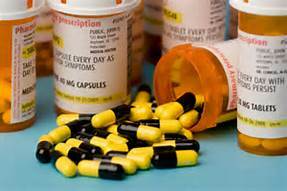 Thirdly, many drugs are approved by the FDA even though they show very little clinical benefit for the patient. Let me give you a couple of examples. I could give you dozens, but I am way too lazy to type all of that information. The examples I am about to use are not unique by any manner. A class of anti-inflammatory pharmaceuticals, known as selective COX-2 inhibitors, had three main drugs approved for prescription use by the FDA. These drugs include Celebrex, Vioxx and Bextra. There is just one slight problem with the use of these drugs: THEY KILL PEOPLE! But, of course, you have been led to believe the FDA protects us from this possibility. Unfortunately, you are sadly mistaken. Most of you may know that Vioxx and Bextra were “voluntarily” removed from the market due to the fact that they significantly increase, in part, the risks of stroke and heart attack. In fact, some estimates are that 50,000 people have had their lived destroyed by these drugs. Now here are some interesting and disturbing facts. I began warning patients about the dangers of COX-2 drugs about one full year prior to Vioxx and Bextra being taken off the market. How did I know this? I read the alarming studies that strongly suggested these drugs were dangerous. Many doctors, who only practice studied medicine, ridiculed my position and cautioned their patients about getting their information from a quack. One even told me I should leave the practice of medicine up to medical doctors. He obviously thought his M.D. degree stood for Medical Deity! I cannot even express to you how much I dislike people who think the world of themselves. So, did the FDA take these drugs off of the market? The answer is no. The FDA basically told the companies making these drugs that they could voluntarily take their drugs off of the market to save face or have the FDA most likely recommend they be removed. Thus, the companies “volunteered” to take their drug off of the market. Let me translate for you: “We have concluded the benefits of reducing pain gained from taking Celebrex outweighs the fact that it also kills a significant, but unknown, number of patients each year. Thus, we suggest that this drug only be given to a properly selected and informed group of patients.” Now, let me ask you two very important questions that will illustrate just how absurd the FDA’s position is on this matter. How do doctors determine which patients will not suffer an adverse event from taking Celebrex and is anyone fully informed about the risks when they are give a prescription for this drug? The answers to these questions are that doctors have NO WAY of determining who will get a heart attack or stroke from Celebrex and the only doctor who goes over the risks of taking a drug with a patient is the one you see on television pharmaceutical advertisements. When was the last time your doctor wrote you a prescription and then explained to you all of the potential serious side effects? Let’s shoot straight here. If the FDA’s true concern was with protecting the consumer they would have taken all of the COX-2 drugs off of the market as soon as there was an indication of danger and would not have allowed their return until studies could be done to prove their safety. Unfortunately for the makers of these drugs these studies would take many years to complete and this course of action would have been financially devastating for them. What is going on here? The FDA is more concerned with the financial viability of the pharmaceutical industry than with your safety. To come to any other conclusion requires a complete disregard for the facts. Thus, if doctors practiced “studied medicine” they would only allow most of their patients to use Proton Pump Inhibitors, like Nexium, for up to 8 weeks and a few patients to use these drugs for at the most 6 months. Almost ALL doctors continue to prescribe this class of drugs to their patients for years! My brother-in-law’s brother (I know…slightly confusing) was told by his G.I. specialist that he had people on PPI’s for a decade and had no reservations in doing so. Recent studies show that long-term PPI use significantly increases risks for osteoporosis bone fractures, pneumonia and chronic diarrhea. How many people taking these drugs do you think got letters or calls from their doctor telling them that since they only practice studied medicine their recommendation was for them to stop using their PPI medication after 8 weeks? The answer is NONE OF THEM received this type of letter! I wonder if that G.I. specialist has sent letters of apology to his patients for not practicing studied medicine and causing them to have an increased risk for bone fractures, pneumonia and/or chronic diarrhea? What do you think? I always find it comical when people use FDA approval (or lack of FDA approval) as their gauge to determine their comfort level for taking any drug or supplement. I hear people say “that is not FDA approved” all of the time. The only thing you can be confident of is that FDA approval means the substance will most likely not act like a poison and kill you in short order. 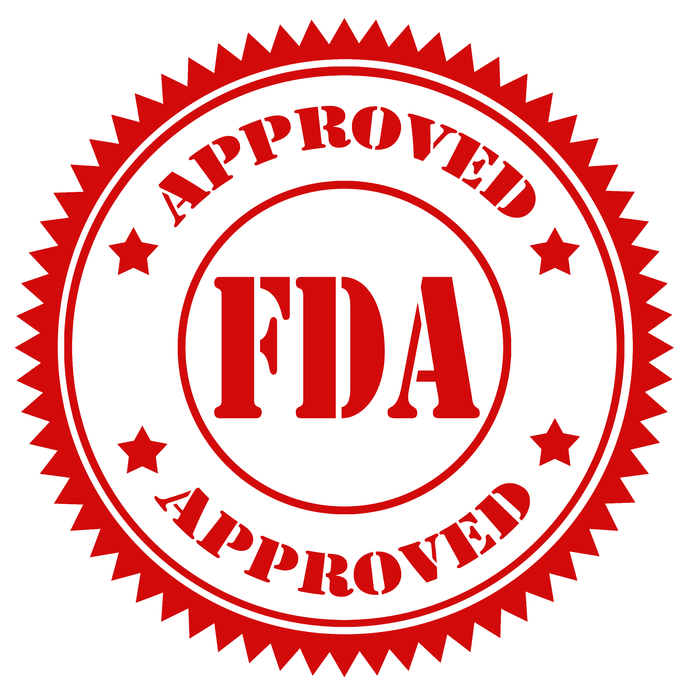 If you think FDA approval guarantees safety or that doctors will use FDA approved drugs along the approved guidelines…welcome to the Land of Oz. How many people do you know who take more than one prescription at a time? My record is a patient who was taking 21 different prescriptions! Although that is not common, it is extremely common for me to see patients taking between 3 and 6 different drugs at the same time. The fact that doctors mix prescriptions without any reservations is the reason why I almost choked up a hair-ball when the internal medicine doctor told me that we should not recommend herbals due to the lack of studied support for their use. The hypocrisy of this statement was so evident I was forced to think about how this doctor could even make such a statement with a straight face. Remember, the claim is that doctors have to practice studied medicine. I would like you to show me even ONE study proving the long-term safety of using 2, 3, 4, 5, 6, or more drugs together. There are NONE! So, I ask you to explain to me how anyone can engage in the practice of studied medicine without having even one study to support the use of giving patients multiple prescriptions at one time. Can you imagine a doctor telling you to never take an herb due to the lack of studied support, but then writing you prescriptions for 3 different drugs? How hypocritical! I would totally understand the practice of prescribing many drugs without regard to safety if it was well known that drugs do not interact with each other. Unfortunately, we know that drugs do indeed interact with each other. Just look at the insert for any prescription and see the list of other drugs you should not use when taking that drug. If you think this is an exhaustive list of any and all potential reactions you are hopelessly naïve. The FDA finds new reactions all of the time and to think there are no more to be discovered is ludicrous. For example, the FDA has recently announced that Prilosec (the cousin to Nexium) blocks the benefits of taking the blood thinner Plavix. There are many thousands of others to be discovered. The reason why we like the thought of hiding behind the smoke and mirrors of following the recommendations of “studied medicine” is because it gives us a false sense of security. It gives us a buffer of assurance in protection against being fooled by false or misrepresented claims for any health product. All of us hate being played for the fool! None of us likes to be taken. What each and every one of us needs to understand is that there is a stark difference between having a study suggest the benefit for a substance verses practicing studied medicine. Doctors use the FDA approval process to create the deception of practicing studied medicine. The hypocrisy of this claim is well illustrated by the examples I use in this article. As I see it, there can only be three reasons to explain this hypocrisy. The first is that doctors are simply unintelligent and do not have the capacity to understand the hypocrisy. There is no way this can be true. The second is that doctors, as a whole, are disingenuous and are knowingly deceiving patients to protect their way of practicing medicine. This may be true for a few doctors, but there is no way this can apply to the majority of health care practitioners. The final possible explanation is that doctors, as a whole, are intellectually lazy and have not put forth the effort to recognize the hypocrisy of their claim of only practicing studied medicine. Shame on them! For your sake, I hope you start to question your doctor each and every time they write you a prescription. Stop thinking about your doctors as Medical Deities and remember that they are “practicing” medicine. It is important for you to realize that you are the one on whom they are practicing! My hope is that you will reject the all to commonly used argument that herbals are potentially dangerous because they are not studied or FDA approved. 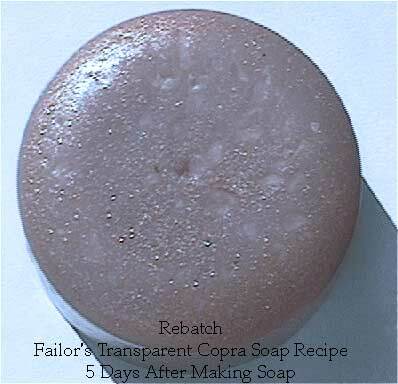 Most natural products are NOT FDA approved, but they are indeed well studied. 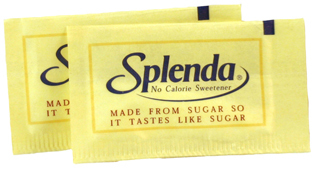 Artificial Sweeteners: Splenda (Sucralose): Not So Splendid! Because of statements like this and the FDA approval, millions of people are now taking doses of Splenda® on a daily basis without concern for any potentially negative impact on their future health. Fortunately, though, many have become untrusting of the FDA and its approval process and are at least asking the question of whether Splenda® is really completely safe to consume. I have read the FDA’s multi-page final ruling for the approval for Splenda® (sucralose) and am deeply disturbed. I will share my concerns with you in just a moment. There is an old saying of, “What you don’t know can’t hurt you.” Splenda® is a great example of how this saying could not be further from the truth. So, I am going to give you facts about Splenda® and allow you to come to your own conclusion as to whether you think it is a good idea to allow yourself, your children, or anyone you care about to be dosed with this chemical on a regular basis. It is a man-made chemical that falls into the class of chemicals known as chlorinated hydrocarbons. Other chemicals that fall into this same category include many dangerous pesticides like dioxin and DDT. The chlorinated monosaccharide, 6-chloro-6-deoxy-D-glucose is a known neurotoxin. Thus, sucralose falls into a category of molecules that should immediately raise serious questions about potentially deadly health concerns. To be fair, however, you need to know that not all chlorinated molecules are toxic to humans. We cannot, in good faith, immediately make the connection that sucralose is a toxin just because it is a chlorinated hydrocarbon. To be a little more specific about how sucralose is made, man has taken a natural sugar molecule and forced three chlorine groups to be unnaturally added. The addition of these three chlorine groups causes the body to not recognize the molecule as sugar any longer. The benefit of this for the marketplace is that it creates a molecule about 600 times sweeter than sugar that is not used by the body to make energy. Thus, it has no calories. The logical question to ask next is how the addition of these three chlorine groups affects the natural sugar molecule. Part of that question was just answered in that the body no longer uses the molecule to make energy. Since most of us have a problem with getting too much energy from the foods we eat, this first characteristic change is not necessarily bad. The only way to assess what this new, unnatural molecule will do to humans is to perform studies. This is where the scary part begins. You would assume that in order to gain FDA approval there would have to have been numerous independent studies done to prove the safety of this chemical. You would also assume that if the studies performed raised any questions about potential health concerns that the FDA would err on the side of safety and would not approve a questionable chemical as being safe for consumption. You assume way too much! As you read about the following information, remember that McNeil is extremely proud of the studies they have done on sucralose. As is common with the FDA approval process, the only testing and studies supplied for consideration were done by the very same company that had financial interests in the product. The truth is that if the results of their studies were negative, they would stand to lose billions of dollars. This is quite a motivation to design studies in a way that would decrease the chances of negative results. And, as you will soon see, any negative results were vigorously defended and explanations were quickly formulated. As I stated earlier, you would expect that the results from these studies would have shown no real concerns, as the FDA did approve sucralose for human consumption. This, unfortunately, was not the case and the FDA went out of its way to defend the negative study results instead of erring on the side of safety for consumers. All of the studies submitted to the FDA for approval were animal studies. So, we really do not know what sucralose does to humans from these studies. The studies submitted by McNeil revealed some very disturbing findings. So, sucralose and its by-products did show some toxicity to genes. This is not a good thing as it could potentially lead to the development of cancer. The FDA simply dismissed these finding stating that the 2 year cancer studies done in rats were negative and thus, the findings of gene toxicity were insignificant. This was quite a leap of faith taken by the FDA. In other words, the FDA suggested that since limited tests done in rats did not show any increased cancer rates, the actual finding of gene toxicity should be completely dismissed. And, they were. I ask you to think about how cancer develops in people who are exposed to cancer-causing toxins. Take asbestos exposure for example. When did people exposed to this toxin develop cancer? Did it take months, a couple of years, or many years? The answer is many years. Most people did not develop cancer in just two years. So, how can the FDA simply dismiss findings of gene toxicity through a two-year rat study and conclude that sucralose will not cause cancer in the long-term? Do you really think that the FDA is looking out for your best interests or for that of the company about to make billions? In an effort to reduce the negative impact of these findings, McNeil then followed this up with a study that only lasted 28 days. This new study again showed disruptions in immune functions at higher dose sucralose fed rats, but not in lower dose groups. The FDA found this 28 day study to be sufficient in defining the safety of sucralose for dosing in humans to not cause immune function disruptions. The bottom line is that the studies conclusively showed that sucralose could have a negative effect on the immune system. One of the more disturbing findings revealed through the FDA Final Report concerned the testing to determine the neurotoxicity (brain toxicity) of sucralose. Remember that sucralose is of the same family of chlorinated hydrocarbons as are many dangerous pesticides. The question of neurotoxicity is a big one. In layman’s terms the FDA stated that 28 days of testing in monkeys and mice was enough proof for them that there would not be neurotoxic effects in humans. The important differences are that we are not monkeys or mice and that humans now use sucralose daily for years and years. How in the world would a 28 day study give the FDA enough comfort to make their conclusion that sucralose is not neurotoxic for long-term use by humans? Interestingly enough, case studies from 2006 and 2007 where presented in the peer-reviewed journal of Headache showing that sucralose was a trigger for migraine headaches (Headache. 2006 Sep,46(8): 1303-4. and (Headache: The Journal of Head and Face Pain, Volume 47, Issue 3, page 447, March 2007) But wait, the FDA stated that sucralose was not neurotoxic. Could they have been wrong? Are you comfortable with the conclusion that sucralose has no neurotoxicity? Instead of rushing to approve this chemical, why didn’t the FDA call for longer term human trials? Again, is the FDA looking out for you or the company? Because of space restraints, I will summarize the other negative findings from this FDA report. The FDA dismissed all of these findings as not having been substantive. The bottom line is that the limited amount of studies performed on sucralose have raised serious questions about this chemical’s negative effects on immune system function, brain function, fetal toxicity, and the increased risk for cancer. These are not conspiracy theories. These facts are found in the FDA’s own report. The FDA simply doesn’t think these facts are important. McNeil, for obvious reasons, wants you to believe that their product is safe. I am frightened by what I have learned and am far from convinced. As you sort through the data I have provided for you in this article I would like you to consider a number of important questions. Is Splenda® natural in any way? My answer: No, it is a man-made chemical in the same class as many pesticides. Is Splenda® (sucralose) good for you in any way? My answer: No. Your body can’t even use it to make energy. And recent studies show that artificial sweeteners actually cause more problems for weight loss than benefits. So, the lack of calories is no real benefit. Have there been legitimate questions raised regarding the safety of Splenda® for human consumption? My answer: You bet there have! When those questions are raised, do you feel that the FDA errs on the side of safety for consumers? My answer: Not by a long-shot! Why not call for additional INDEPENDENT long-term studies to completely answer the legitimate questions that have been raised? Have there been any human studies completed with Splenda® to address these major concerns? Knowing about the potential negative effects on the immune system and the nervous system would you give this chemical to your children or to the child growing in your womb? Why would anyone continue to use Splenda®? My answer: I have no idea! Most of us have an inherent trust that our health care system, as a whole, is looking out for our best interests. In general, I have to say that I do not necessarily disagree with this statement. However, you should not be blinded by the fact that many aspects of our health care delivery system regard profit over your well-being. In my opinion, the FDA too many times is one of those organizations. I am dismayed by how many of my patients and my close friends dismiss any negative information about a product if it has been approved by the almighty FDA. I urge you as a consumer of health care to guard against falling into a false sense of security simply because something has FDA approval. There are hundreds of drugs that have been approved by the FDA only to have been removed from the market many years and many deaths later. Look at the available facts and be critical when you are evaluating anything in the health care arena. So, what do you use instead of chemical sweeteners? You have many choices including regular sugar, raw sugar, honey, xylitol, or stevia, to name just a few. You can Google® “natural sweeteners” to get a more complete list. 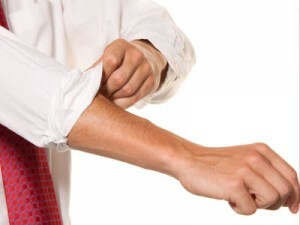 Roll Up Your Sleeve...Cross Your Fingers! Say NO to 3 shots! Roll Up Your Sleeve…Cross Your Fingers! Say No to 3 Shots! Man, I hate getting shots and my guess is that I am probably in good company. The fewer shots you have to endure, the better. Well, I am going to tell you about three commonly pushed shots you should never let anyone inject into you or anyone you care about. The problem is health care providers want to constantly stick you with needles to supposedly impart some protection against illness. At least, that is the promise. The facts, however, tell a very different story in some cases. The available information tells us that certain shots could actually be more harmful than beneficial to your health. We inherently trust our doctors when they tell us to get a shot. The thought that any doctor would suggest a course of treatment that gave us no benefit and had not been proven safe and effective, rarely crosses our mind. Well I am here to tell you to wake up and smell the coffee! The vast majority of doctors never conduct independent research on anything regarding injectables. They go with the usual and standard treatment protocols as influenced strongly by the pharmaceutical industry. Doctors are so busy that they see no need to waste their time to question the effectiveness or safety of any vaccination. In their minds, FDA approval is all the proof they need to enthusiastically recommend the following three shots. So, I am going to muddy the waters by throwing in those annoying facts that go against the status quo. Here is my list of the top 3 most dangerous and worthless vaccines the medical community should stop injecting into victims immediately. This one will probably come as a surprise to most of you. 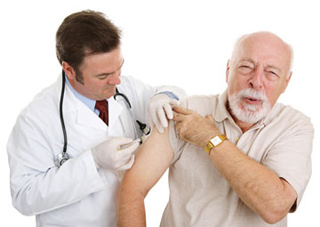 It is so common to get a tetanus shot when you suffer a cut that it is almost a no-brainer. However, this shot should almost NEVER be given. Tetanus is a condition where muscles contract uncontrollably due to a toxin produced by the dirt dwelling bacteria, Clostridium tetani. Infection occurs when the bacteria or its spores are driven into a deep cut or wound. Since oxygen kills these bacteria, they have to be inserted into a low oxygen environment as found in a deep wound. Thus, it became classically known that “stepping on a rusty nail” could cause Tetanus. Why? Because the rusting process uses up all of the oxygen and allows for the bacteria to grow under the oxygen-free rusted material. When you step on the rusty nail the rust flakes off and the bacteria are inserted into a deep wound. The spores from this bacteria can be found anywhere in the world. HOWEVER, the active bacteria are mostly found in warm, moist soils that are usually contaminated by animal feces. Infection requires the person to be exposed to a good dose of spores or bacteria. Poor hygiene practices increase the chances of getting the disease, because if you do not bathe you can accumulate spores on your skin. Thus, most cases in the world occur in Africa through Asia. The picture below shows the prevalence of tetanus in the world today. The higher infection rates are reflected by the darker colors. This chart is from the CDC (Centers for Disease Control). The chances of you being exposed to a large number of spores or directly to these bacteria are unbelievably low. If you get cut in your garage, kitchen or in the house your chances are basically zero. This is especially true during the winter months! For example, many people cut their finger with a knife in their house. You have exactly no chance of contracting tetanus in this case. Why take a shot for something you cannot get? It would be like me getting a shot to ward off the PMS symptoms I might get next month. Now, if you live in an area with warm, moist soil and you get a puncture wound while you have been working in this soil; you might consider getting a tetanus shot. This is especially true if manure has been spread on this soil. Your chances of getting this disease, even in this scenario, are almost zero in the U.S. But, this would be the only time you should consider getting this shot. In the U.S., a large percentage of cases occur in drug users and diabetics with chronic wounds who work around warm moist dirt. If you are not in this risk group, you are not at any real risk of getting this disease. The main question I anticipate people might ask is why not just get the shot if you suffer a wound just to be safe? Even if you are not exposed this time you might be in the next 10 years. I would actually embrace this line of thinking if the shot was completely safe and effective. But, alas, the tetanus shot is not completely safe or effective. Data from the Centers for Disease Control (CDC) shows, of the cases where vaccination status had been reported, that 67% of those who contracted the disease had received at least 1 shot of tetanus vaccine. The percentage of people who had received the shot within 10 years was 24.1%! Thus, about one quarter of the people who had received this vaccine within the last 10 years still got the disease. Clearly, this shot is not 100% effective! But, EVERY doctor who recommends this shot (and all vaccines for that matter) implies that if you get this shot you are protected. Now, one of the biggest arguments used to defend the use of vaccines is that the number of cases has reduced since the implementation of the Tetanus vaccine. And, there is no doubt the data shows this to be true. However, this has very little to do with the tetanus vaccine. There are two non-vaccine related reasons why cases of tetanus have decreased. The first, and most important, is better hygiene practices since the early 1900’s. And, the second is that since the 1970’s we have seen a drastic reduction of “working in the dirt jobs”. How many of your friends work in the dirt? Thank you, Mr. Computer, for helping to reduce tetanus infections in the U.S.
More concerning than the ineffectiveness of the shot is that in the last 10 years over 500 people have gone to the Emergency Room after having reactions to the shot. Close to 1,500 people reported reactions to the CDC, 38 people were permanently disabled and 2 people actually died. You need to know that these are the results only for the tetanus shot given alone. Most of the tetanus shots given in the U.S. are in combination vaccines. Thus, the number of people injured by this shot is much higher than these numbers represent. The CDC reports that only 13.2% of reported cases were fatal in the U.S. with a total of around 300 cases of tetanus reported in the last 10 years. Over the last 10 years, about 40 people have died because of tetanus with many of them being high risk drug addicts and chronically ill diabetics. That means the vaccine has killed or permanently disabled the same number of people as the disease itself. But, only 300 people suffered from the actual disease while, at a minimum, 1,500 people suffered reactions to the shot. The cure is worse than the disease! So, the bottom line is that the facts show the vaccine is not all that effective and is most certainly not completely safe. Your chances of contracting tetanus in the U.S. are next to zero. The only time you should consider getting this shot is if you are working in warm, moist soil, which has been spread with manure, and you puncture yourself. Or, you might consider getting the shot if you are visiting one of those countries where infection rate is high. 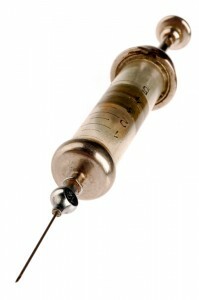 If not, do not let them inject you or your children with this potentially dangerous and worthless shot. I will not get into all of the specifics as to why the flu shot is basically worthless. I urge you to read my article “Flu Shot: Trick or Treat?” and "The Flu Shot Lie" for in-depth reviews of flu shots. What I want to share with you is some very disturbing information about the flu shot that you will not see pasted on the front pages of news papers, magazines or as the lead story on the T.V. news. If the information I am about to share with you were to involve a natural substance you would see warning reports on every media in the U.S. The hypocrisy is painfully real. A very bright and observant Canadian researcher made the connection that people who got the 2008-09 flu shot were more likely to get infected with the H1N1 flu in 2009-10. Five studies completed in Canada confirmed this observation. The results were, of course, down played due to the fact that this kind of information would be very harmful to the flu shot industry. But, now this researcher (Dr. Danuta Skowronski) has reproduced the findings using ferrets. She conducted a study where she gave the ferrets either a flu shot or a placebo. The researcher injecting the animals did not know if they were injecting a placebo or the real flu shot. Thus, there was no bias to influence the results. The results are disturbing and confirm that the flu shot caused those animals that were then infected with H1N1 to become much sicker than those that received the placebo. This confirms the findings seen in humans. Let me state the findings in simple terms. If you get a regular flu shot you are more likely to get infected by more serious strains of the flu! Dr. Skowronski stated the reason for this real finding is unknown and she urged other research groups to get to the root of the problem before the next flu pandemic. Again, you and I both know that if any natural substance caused this same effect, the medical community would be calling for the removal of that substance from the market until it was proven safe. But, when the flu shot causes people to become more likely to contract a potentially dangerous flu they tell you to not stop getting your flu shot. Why would they not tell you to stop getting a flu shot until they found the reason for this disturbing finding? After you read “Flu Shot: Trick or Treat?” you will see that the flu shot is basically a worthless shot in the first place. There are two powerful reasons why there is not a call to stop flu vaccinations. The first is if doctors admitted that the flu vaccine was not effective and was potentially dangerous, your trust in their judgment could be shaken. Can you imagine if your doctor all of a sudden told you that a shot they had urged you to get (and sometimes even used scare tactics on you) so many times in the past could actually be dangerous? My feeling is that they willfully ignore or downplay these type of findings. The other reason is because the pharmaceutical companies involved in the flu shot industry, and who have tremendous influence over the practice of medicine, are worried about losing the thing that is most important to them. Can you guess what that is? Please do not let them inject you or your children with this worthless and dangerous shot. Nothing scares…I mean motivates you more to pay attention than the word Cancer. And the makers of Gardasil, Merck, take full advantage of this fact in promoting the use of their vaccine against HPV (Human PapillovaVirus). The campaign to push Gardasil uses the tactic of who could be against a vaccine that will save lives from cancer. The message is so powerful and convincing that one state's governor signed an executive order to force all girls to get the vaccine in order to attend school. He, no doubt, was convinced that he was taking action to save women’s lives from this dreaded disease. The problem is that the supposed protection from Gardasil is not so cut and dry. Actually, the real facts should scare every parent to make sure they NEVER inject this poison into their children. I will try to make you understand how ridiculous it is to use this vaccine in as simple terms as is possible. There are 15 different strains of HPV known to cause cancer. The Gardasil vaccine contains virus-like particles, which MIGHT protect against only 9 different strains of HPV. Not one study shows that Gardasil prevents cancer! The studies done by Merck showed a decrease in HPV infection only in girls who were not already infected with HPV. Their claim of cancer reduction is theoretical using the logic that reduced infection means protection from cancer. The problem with this line of thinking is that this makes a huge assumption that the vaccine will impart life-long protection against HPV. However, consistent evidence from other vaccines shows that this is rarely, if ever, the case. Thus, the claim that Gardasil protects against cancer is theoretically weak, at best. It is NOT a factual claim even though you would never know this by listening to pro-vaccine advocates. Now here are the really disturbing facts. There are a number of HPV vaccines available including, Gardasil. The CDC takes reports about the adverse effects from these similar vaccines. As of January 2017, there have been 17,862 serious adverse events reported to the CDC because of these vaccines. Keep in mind that these are the events where a parent called the doctor and then actually took the time to make the report. How many other events occurred where the doctor down played the side-effect and no report was made? The total number of real adverse events is WAY higher than 17,862! Take a moment to let this number sink in. In addition, there were 14,108 Emergency Room visits where 4,505 girls ended up being hospitalized. Of those, 1,677 became permanently disabled in some capacity, 789 had life-threatening symptoms and 304 girls are DEAD because of these vaccines. These numbers should scare the heck out of you. These numbers should make you mad as a hornet! Especially, if your doctor convinced you to inject this poison into your child! The bottom line is that in light of these very real and known adverse reactions you have to ask yourself a very important question. Why in the world would you allow someone to inject your child with such a dangerous vaccine when there is only a theoretical HOPE that they will realize a reduction in the chance of getting HPV related cancers? Moreover, ask yourself why any doctor would ENTHUSIASTICALLY suggest that you inject your child with this dangerous vaccine? Please stop killing children with this worthless shot! I will say there are other vaccines that I think are worthless and/or potentially dangerous. I didn’t include them here simply because I am afraid if an article is too long, it will not be read. On top of the list not included in this article would be vaccines for Chicken Pox and for Hepatitis B. Feel free to contact me to get my thoughts on why you should stay away from these vaccines. My main hope is you will come to the realization that you have to educate yourself in order to make proper health decisions for your family. Your doctor has been irreversibly influenced by the pharmaceutical industry when it comes to their vaccine beliefs. They will always give you the pro vaccine position and will downplay any opposing views. If you think they have balanced their opinions by a thorough review of the facts, you are naïve. If you think me wrong, just take a moment next time they ask you to get a tetanus, flu or Gardasil vaccine to ask them if the information I have just shared with you causes them any concern. I will bet you big time they do not even know about these facts. Your doctor is not a vaccine expert; he/she is a vaccine advocate. Understanding this difference may save your life! As always, when it comes to the subject of vaccines, my goal is to give you the balanced information you need in order to make an informed decision. You may very well decide to accept the injection of these vaccines after you read the information and perspective I have provided for you in this article. All I can suggest to you if you still decide to let them inject you or your children with these shots is to roll up your sleeves and then cross your fingers! Living With Toxins: Can They Affect Our Health? For many of us, the mention of a toxic environment congers up pictures in our mind of a post World War III scenario. People gagging with every breath and lakes that bubble like acid. We are not there, yet. I have a fear, though, that we are being faced with a situation that is even more dangerous today. I can hear you thinking that I must have lost my mind. Have faith that I have not. Our environment is currently flooded with chemicals that are present in our air, water, and food. This is all the result of the twentieth century’s better living through chemistry advancements. Ask yourself how often you are exposed to cleaning supplies, air fresheners, deodorants, news papers, nail polish remover, perfumes, insect poisons, fertilizers, gasoline, food additives, chemicals added to water, paint, dry cleaned clothes, grilled foods, hair spray, car fumes, cigarette smoke, carpet, plastic products, caulk, particle board, wall paper, drugs (legal types), or glue to name only a few? The answer for all of us is every day, many times a day. The question that begs to be asked is if these chemicals are so bad and if we are being so exposed why, then, do we not see people dropping dead like the fly sprayed with Raid? The answer to this question explains why I feel that we are being faced with a situation more dangerous than my WWIII scenario. The human body is truly a God inspired marvel. We have been given the ability to get rid of harmful substances through a process called detoxification. There are a number of sites in the body that perform these life saving functions, but most important of these is the liver. The liver is charged with changing a harmful substance into something that can be expelled from the body. It does this through known enzyme and chemical reactions. The problem is that this system can become overloaded through multiple exposures. The result can be varied. If the toxin is bad enough, you can quickly die. Most, however, only stay in your system a bit longer until the overloaded system can attend to them. Here is my real concern. If you drink bleach, smell sulfur, take arsenic or hit your finger with a hammer you get an immediate response that ties your exposure to a symptom. This is not true with our everyday environmental toxic exposures. Do you get sick, develop cancer, have pain, get a headache or loose feeling in your hands immediately after pumping some gas? No. You smell the gas but there is no immediate reaction, unless you are very sensitive. MediumThe effect to your health from continuous low grade, multiple toxic exposures is insidious. In other words, it sneaks up on you and before you can identify the cause you are ill.
My real fear is that this constant exposure to these every day accepted toxins is having a devastating affect on our health. Picture in your mind the cells of your body being bathed in these toxins. The cell survives the exposure but is damaged. Over time the cell’s function changes at the genetic level. The new genetic code begins to produce abnormal cells. As these cells begin to multiply the body begins to malfunction and symptoms appear. You go to the doctor and are told that you have CANCER. The cause is determined to be unknown. Please, do not misinterpret this to mean that I am suggesting the sole cause of cancers are environmental toxins. I am not. The scenario, though, is not ridiculous. In fact, there are many known cases of chemical exposures tied to the development of cancer. In the past 30 years our society has seen the puzzling increase in the frequency of many diseases. In addition to cancer we are now plagued with diseases like Rheumatoid Arthritis, Lupus, Fibromyalgia, Chronic Fatigue, Sick Building Syndrome, Asthma, Alzheimer’s, Parkinson’s, Hypothyroidism, and many, many more. I am convinced that the continuous exposure to toxins is having an ill effect on our health. I am further convinced that we can do things that can have a profoundly positive influence on our well being. This includes increasing our intake of fresh, clean fruits and vegetables while decreasing our toxic exposures. A total body detoxification should be performed at least twice a year. See the “Detox Your Body” section of this website for more information. How can you be sure that any of the health issues discussed in this article even apply to you? How can you tell if you have been or are being exposed to toxins? The U.S. EPA has tested human fat tissue samples from all regions of the country for toxic compounds. Five chemicals were found in 100% of the samples, while nine other chemicals were found in 91-98% of all samples. The question is not IF you are exposed. The question is HOW MUCH do you have in your system. The EPA also has tested outdoor and indoor air for contaminants with disturbing results. The compounds commonly found at high levels in the lungs of subjects were paradichlorobenzene (moth balls and room deodorizers), styrene (plastics, foam rubber, insulation), tetrachloroethylene (dry cleaning), vinylidene chloride (plastics), xylene (paints), and benzene and ethylbenzene from gasoline. People who smoked, pumped gas, or used dry cleaned products had higher chemical toxic readings. Carpet was identified as a major source of indoor air chemicals. Carpet samples contained an average of 12 pesticide residues. A partial list of chemicals present in carpet numbers at 40. Again, I hold that the question is not if you are exposed, it is how much exposure have you experienced. I receive a good number of emails to ask my opinion regarding the Foot Bath Detox. As always, I will give you some facts spiced up with my strong opinions so you can decide for yourself whether or not a Foot Bath Detox is worthy or worthless. For those of you who are not familiar with a foot bath detox, let me explain. The foot bath detox consists of a tub in which you place your feet. The tub is filled with water and then an electrical current is sent through the water. The claim from the makers and practitioners who use this product is that the electrical current causes the cells of your body to release toxins and that these toxins are then, somehow, drawn out of your body through your feet. The release of these toxins then supposedly turns the water different colors depending upon which toxins are being released. The pictures below illustrate the process. Obviously, there is a reaction happening in the water since it changes colors drastically. Many of the people who have this done are quite convinced and impressed by this color change. People who use the foot bath detox will tell you that they have more energy and that they feel invigorated by the treatment. So, what is going on here? Is the color change really caused by toxins being released from your body? If not, what would account for the obvious change in water color? To start with, let me not pull any punches. The foot bath detox is a colossal scam! Now, let me back up my contrary position by answering some of the questions I posed above. Is the color change really caused by toxins being released from the body? To answer this you have to understand that the body sequesters (hides) toxins in fat cells in order to keep them from doing harm to your cells. It uses fat cells because the substances that are so toxic are fat soluble in nature. In other words, they can only be housed in fat. Your body tries desperately to excrete the other, free-flowing toxins from your body. It does this through a process called detoxification. This process occurs in the majority of cells to a minor extent, but the lion’s share is done by the liver. Your body gets rid of most bound toxins either through your stool or urine. Not, your feet! When was the last time you woke up after a night’s sleep with your covers stained black/brown from all of the toxins being released from your feet? Exactly…never! Secondly, as all of these black/brown-colored toxins were being drawn through the feet; why would the person’s feet not turn black/brown? Think about that for a moment. They want you to believe that the electrical current is drawing the toxins to the feet in a concentration so high that it blackens the water. As those toxins accumulated in the tissues of the feet and the ankles, they should turn black/brown. Then, as the toxins slowly leached into the water the foot should turn back to a nice pinkish color. This does not occur. Additionally, the soles of the feet should stay black/brown for days in people with calloused feet. I have asked alternative health practitioners if the person has to worry about getting their feet stained and I have always been told that this doesn’t occur. Maybe if they knew why I was asking they would have given me a different answer? What accounts for the change in the color of the water? People are not told this when they go for a “treatment.” They are simply told to be amazed at how many toxins came out of their tootsies. Now, I can hear the people who push this garbage screaming that the color change is different depending upon what person has their feet in the water. In other words, one person’s water may turn very dark and another may have a different color. This must provide proof that something happens when the person puts their foot into the water. And, it does. But, again it has NOTHING to do with the release of huge amounts of toxins from different organs of your body. No, the reaction is a simple hydrolysis chemistry reaction between the fats and mineral salts found on the skin of the feet. The hydrolysis of the water by the electrical current causes a soap-like reaction that changes the color of the water. The color change depends upon the type and amount of salts and fat the person’s body excretes. This accounts for the differences in color from person to person. Just for kicks, here is a picture of a bar of natural soap. Look at the color. Blackish/Brown…what a coincidence! So, why do people report feeling full of energy and invigorated? The answer is simple. Have you ever put your foot into a warm water bath? It feels awesome! It is invigorating. That was the easiest question I have ever answered! If you want to perform a real internal detox of your body, go to the Body Detox link. My suggestion is that instead of throwing your money away on a foot bath detox, donate the money to a needy person or to someone in the missionary field. Any health practitioners using the foot detox products with their patients need to email me to address the facts and answer the questions that I have posed. If you do not, stop promoting this junk to your patients in a deceitful manner.